We have been able to create a respectable niche for ourselves by meeting clients' varied requirements by offering them a quality-assured range of Aluminium Foil Sealing Machines. These products are designed and manufactured by a team of diligent & skilled professionals in compliance with the international quality standards. In our range, we offer Induction Cap Sealing Machines, Foot Operated Aluminium Foil Sealing Machines, Hand Operated Aluminium Foil Sealing Machines, Induction Cap Sealing Machines Conveyorised etc. The range of Induction Cap Sealing Machines is offered to the esteemed clients, as per their demands. 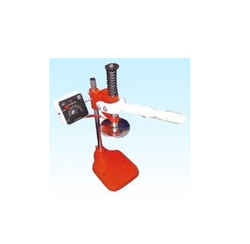 Widely used for sealing applications, these machines are manufactured in compliance with the international quality standards. These machines cater to the needs of various industries and sectors in an efficient manner, thus, are highly demanded in the market. 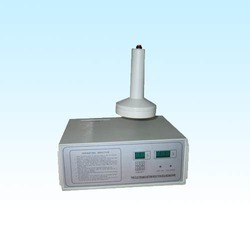 Induction Cap Sealing Machine Conveyorized are made available to the clients in varied specifications, in order to meet their varied requirements in an efficient manner. 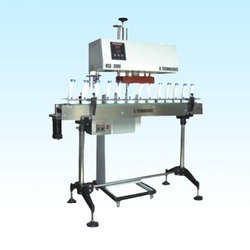 The offered cap sealing machines are manufactured by making use of premium quality raw material and components that enhance their functional life. We are engaged in offering a high quality range of Hand Operated Aluminum Foil Sealing Machines in the market. These sealing machines are manufactured using high-grade raw material and components, in adherence with the industry laid standards. Moreover, these machines are checked on certain quality parameters to ensure their flawlessness before their dispatch. Seal Materials PP,PE,PET,PS and etc. We are instrumental in providing a high quality range of Semi Automatic Aluminum Foil Sealing Machines in the market. The entire range of machines is designed and made in compliance with the international quality standards, by employing latest technology and machinery. 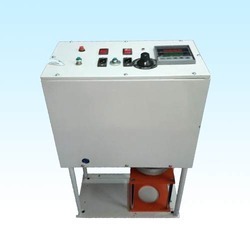 Moreover, we provide these machines to the clients in varied specifications to meet their different requirements in the most efficient manner. The range of Aluminum Tube Sealing Machines is manufactured in compliance with the international quality standards by a team of diligent & adroit professionals. They design as well as fabricate these sealing machines by employing advanced tools & equipment and cutting-edge technology. We make sure to deliver the ordered products at the clients' end within the committed time frame.